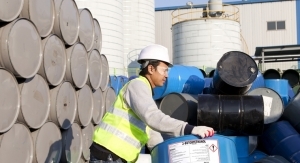 Each element of the process continues to advance, meeting the needs of an evolving industry. There are no knobs or handles on Nilpeter’s new FA press, a sign of modern press operation. Bellissima provides label printers with a stable foundation to simulate spot colors as well as print stunning smooth, flat, screen tints. 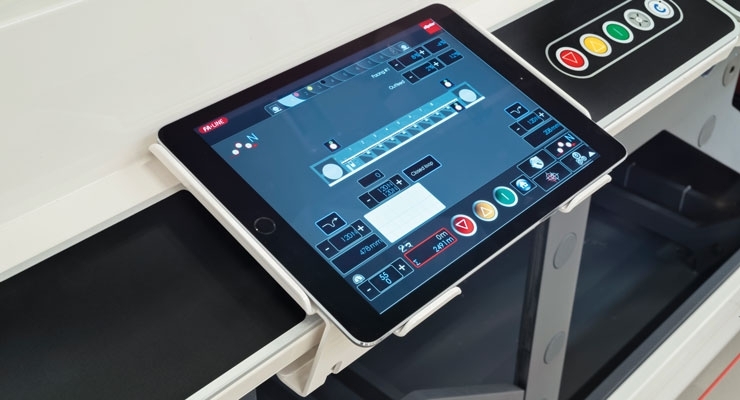 Designed for today’s press operator and to engage with the younger workforce, tablets on the new Nilpeter FA press can be positioned anywhere in front of the machine or can even be handheld. 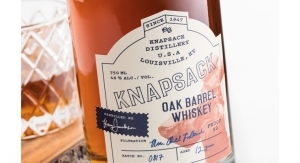 With so many stories of digital press launches and installations dominating the label industry news feed, to some, flexography has become an afterthought. 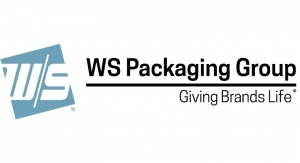 However, despite the inroads digital printing has made in recent years – and they are indeed significant – the majority of PS labels and packaging printed around the world are done so via flexography. In fact, it’s really not even close. Furthermore, flexo’s flexibility allows the process to continue to evolve, with suppliers responsible for every element in the process working in lockstep to keep moving forward into the future. Esko was recently honored with FTA Technical Innovation and InterTech Technology Awards for its XPS Crystal 4835 exposure unit. The XPS Crystal 4835 combines UV main and back exposure in a single operation. “It further contributes to the HD Flexo and Full HD Flexo quality by offering great plate consistency,” Marsoun explains. “Plate consistency is one of the key drivers in achieving and maintaining optimal print quality. UV frames using lightbulbs cannot deliver the necessary control needed for the best result. Research has shown that a simultaneous and optimally controlled UV main and UV back exposure by using UV LEDs produces highest consistent digital flexo plates. 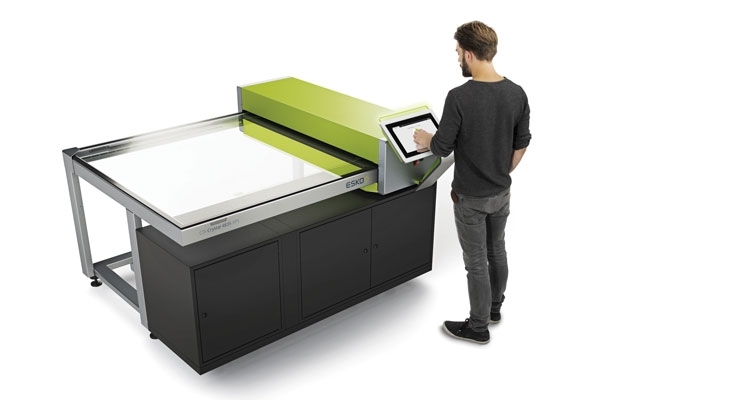 The new CDI Crystal 4835 flexo plate imager contains a glass plate table. This is used to transfer flexo plates onto the imaging drum and to transport the plate after imaging to the XPS device – thus combining plate imaging and exposing into a single operation. 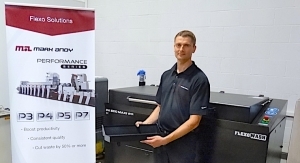 “This new flexo platemaking solution delivers a 68% reduction in operator time for platemaking, a 50% reduction in operator training time; and 74% faster time to plate. The new CDI and XPS devices are simple to use and require less operator training and service intervention,” Marsoun says. According to Kinsella, today’s software is redefining what’s possible with flexographic printing. “The car provides a good analogy. It has been around for over 100 years, but it’s only recently that the software technology, combined with the existing hardware, means that cars are cleaner and now able to drive and park themselves. The intelligent software utilizes all the individual components allowing them to work beyond their perceived potential. “Applying this principle to flexo, you can see how the results from the ‘complete solution-based concept’ is greater than the sum of the individual flexo process innovations. The combination of the plate and anilox, combined with the software developments in Bellissima Digitally Modulated Screening (DMS), for example, makes for a truly ground-breaking technology solution, which unlocks the potential of flexo in a way previously unimaginable,” Kinsella says. 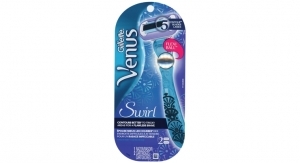 The patented Bellissima dot structure helps to reduce and, in some cases, eliminate bounce, barring and slur, says Cave. “Before using Bellissima, a printer would need to slow down the press to make manual adjustments to try to resolve these problems. With Bellissima, a press can run, often at full speed, without encountering these problems and, as a result, the printer can considerably reduce the amount of waste while increasing press up-time. Bellissima DMS doesn’t suffer from color-shifts when any misregistration occurs. With conventional screening, presswork can shift from clear centered to dot centered rosettes even with minimal misregistration, resulting in tone and color shifts. Bellissima enables technology for fixed palette and extended gamut printing. 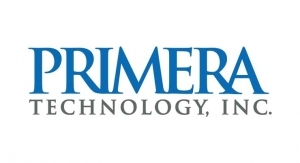 It eliminates many of the main barriers to fixed palette and extended gamut printing and allows this technology to be adopted in greater numbers. “When using four or more process colors, Bellissima provides printers with a stable foundation to simulate spot colors, as well as print stunning smooth, flat, screen tints. This increases printing press utilization, efficiency, and cost-effectiveness since it eliminates the downtime for cleaning and washing up associated with spot colors,” Cave says. It also allows the printer to “gang” multiple jobs into one run, making for even more effective press utilization. 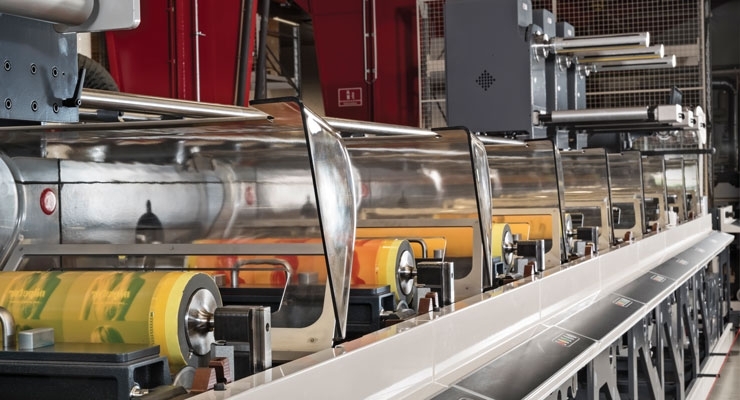 The need for skilled flexo press operators has been described as a “crisis.” As many press operators that have been in the industry for decades near retirement, label companies are faced with the challenge of replacing them with someone qualified. Flexography, for many years, was considered an art, however, in recent years, with the proliferation of digital technology in general, finding people to embrace the artform as a career is proving to be a difficult challenge. However, press manufacturers have come up with solutions. Nilpeter has been developing innovative flexo printing presses within the narrow web market for decades. In 1977, Nilpeter introduced the first full rotary flexo press to the label printing market called the F-200. 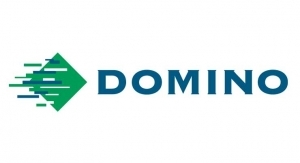 The company continues to be at the forefront of flexo press innovation, which includes the 2004 introduction of the sleeve-based FA-Line of presses for labels and flexible packaging. Today, Nilpeter is promoting the fifth generation of the FA-Line. “This is the most advanced flexo press on the market,” states Paul Teachout, VP sales and marketing for Nilpeter USA. All of the main components of the new FA press are produced in-house, including the second generation CleanInking chamber – improving ink handling and consumption. 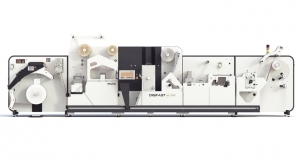 “This new press is a benchmark of flexibility and modularity. It is important to remember that Nilpeter is a complete press manufacturer, steel in and presses out, we are not simply an assembly house,” Teachout says. The FA speaks to the flexibility attributes inherent in the flexo process, allowing printers to enhance the performance of their press with value-adding units and application and automation packages, according to application needs and budget. “Future customizations are often done with a simple press of a button. The entire platform, both mechanically and software, are of a module methodology, at any time now or in the future. As new innovations or trends present themselves, the press will be able to be enhanced and execute new opportunities without a complete reinvestment,” Teachout concludes. Mark Andy continues to build on its Performance Series platform, which the company describes as having “future-proof” capabilities. 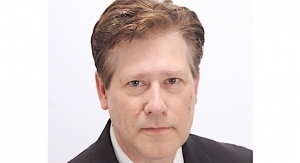 Mark Andy engineers and designers have focused on numerous improvements to provide a more accurate automated control system, faster press setup times and higher max press speeds. This is done while still maintaining the simplicity, reliability and flexibility to increase productivity and profitability. Known for fast make-readies and minimal waste, the Performance Series also offers a food-grade lamination solution to support the increased growth in short-run flexible packaging. The Performance Series P7 is available with inline solventless lamination capabilities with low-migration adhesives. The components are mixed inline after lamination instead of pre-mixing, which means no adhesive post life issues in the machine. Key differentiators of this solventless curing system drastically reduce cure time from days to only 1-2 hours, as well as reduce capital costs. MPS Systems has also addressed the demand for automation and big data usage. 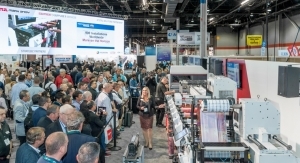 Promoting interaction between MPS printing presses and management information systems (MIS), the company’s new “talk to me” connectivity technology allows for real-time data exchange and control. The concept is a protocol for exchanging data between MIS and MPS printing presses to supply real-time information required for companies to be productive and remain competitive. In addition to the regular MIS interface, press operators can be given access to extended “anytime, anywhere” functionality via a specially developed app, easily installed on any Android or iOS smartphone or tablet. Bert van den Brink, co-founder and technical director at MPS, explains how the development of “talk to me” is a logical consequence of MPS’ corporate philosophy: “Our promise to the market is being ‘Operator Focused, Results Driven.’ The best way to achieve maximum printing productivity is to ensure that operators have the tools and freedom to get the most out of their machines. With ‘talk to me’ we offer just that.” Data to be exchanged from the MIS to press includes the customer name, press run, color sequence, tooling, material type and thickness, printing plate code and planning (job queue). Data from the press to MIS consists of the operator, printing speed, meters/feet printed (order status), waste produced (waste sheets), setup and printing time. Gallus recently introduced its modular Labelmaster press, which can be configured to meet specific requirements. With its open interfaces, this is another machine that enables users to respond flexibly to future changes in the market. Labelmaster is made up of modules each comprising two printing units. These modules are available in three different variants. 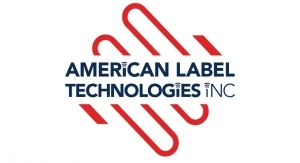 The basic variant covers all the essential label printing standards while the Plus version provides enhanced flexibility to cover many applications in the label industry, and the Advanced line can virtually meet any requirement and be configured to include as much or as little automation as necessary. The Gallus Labelmaster machine platform boasts a whole series of product highlights such as an extremely short web path of just 1.4m between printing units and a high max speed of 200 m/m, thus making the Gallus Labelmaster the fastest label printing press that Gallus has ever produced. 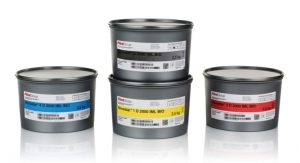 Inks are another element contributing to flexo innovation. 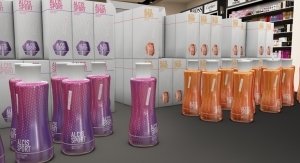 “The flexo process continues to expand its footprint in the label industry as a direct result of technical advancements with not only ink, but also plate and anilox roll technologies, as well as advancements in the presses themselves,” says Jim Krstulic, product manager, Tag & Label, for INX International Ink Co. 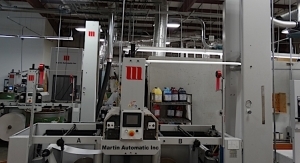 He adds, “Another key contributor lies with combination printing; presses today are running water, UV and rotary screen inks all in one pass, providing the converter with a wide range of options for their end users to consider. “As all the surrounding technologies advance, inks must keep up. Inks are not a commodity as some like to believe – to have one ink for everything is a pipe dream. 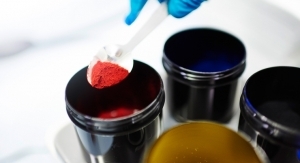 Tomorrow’s inks will need to be stronger, more soluble, press stable and flexible enough in their formulation to account for the wide variety of substrates and printing processes,” Krstulic says. 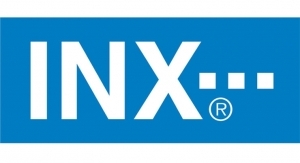 INX International provides a complete line of water and UV flexo ink systems for the NWTL market. “In regards to water, we have reformulated our AquaTech ION paper and film systems for increased strength and transfer properties and less maintenance on press. 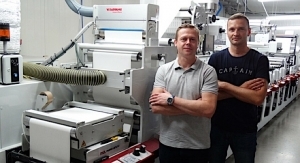 The systems also have increased adhesion on a wider gamut of film structures while still providing ease of print for the press operators,” says Krstulic. 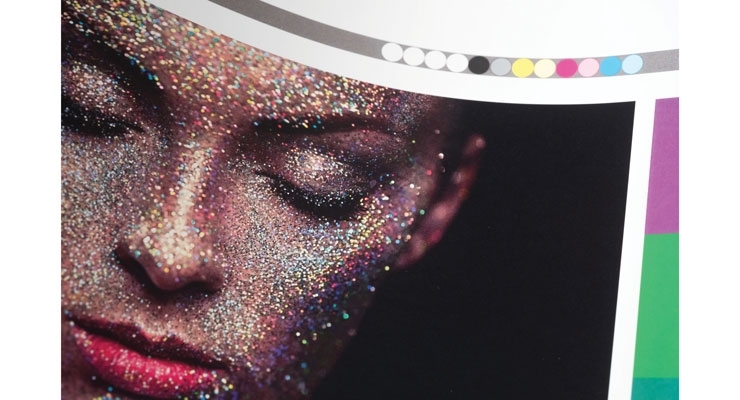 Another new product INX recently introduced is its AquaTech ION X, a hybrid of its paper and film system, providing one ink system that will run on a wide range of paper and film substrates. This allows converters to minimize their ink inventory and control costs. 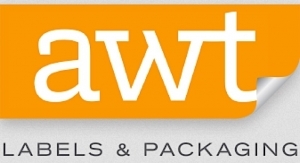 Flint Group Narrow Web has recently announced developments in the up-and-coming UV LED flexo and shrink sleeve sectors, as well as addressing the extended gamut trend. The newly launched EkoCure XS from Flint Group is a UV LED flexo ink series formulated to have the best adhesion and post shrink performance on shrink substrates. 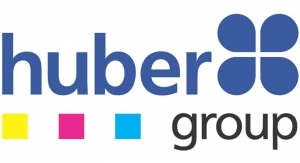 It is also dual-cure, providing consistent cure at the highest printing speeds. 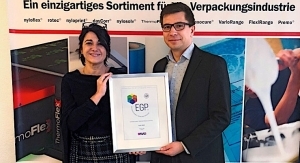 Flint Group has been awarded the Expanded Gamut Printing (EGP) Partnership Certificate by Marvaco, a pioneer in EGP technology. The certificate recognizes Flint Group’s ability to deliver tools for successful implementation of this production process and is awarded for the stability and excellent process reliability of the inks and plates, based on the experience in numerous prints at several printers in the past three years. The jobs have been printed in high line screen, up to 70 lpcm (178 lpi), in daily production. Deciding which press to use for a label project used to involve making trade-offs. You could have the short make-ready times and easy customizability of digital, or you could have the power of a flexographic press to create high-end decorative details. Some jobs naturally made sense for one technology or the other, but many cried out for the best features of both. That’s what’s so exciting about the growth of hybrid technology, which combines both digital and flexographic units into a single press. With hybrid, it’s possible to manage multiple SKUs and custom artwork in a digital unit while still using flexo presses to add high-end decorative effects like rotary screens and cold foils. 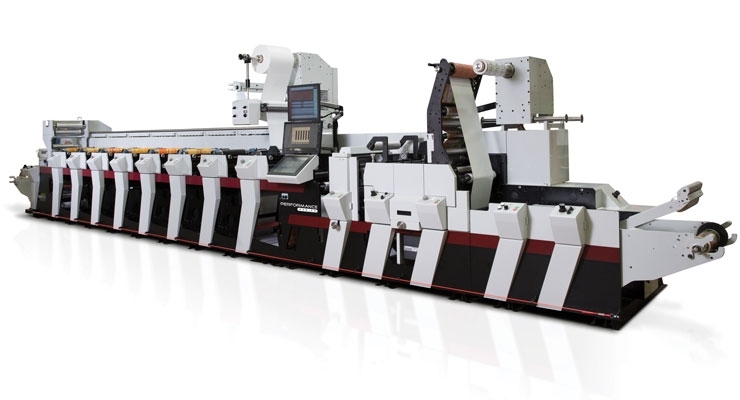 In other words, hybrid presses make it easier than ever to create work that would have been prohibitively expensive or time consuming with digital or flexo alone. If you think about it in terms of evolution, hybrid presses have a serious competitive advantage, and they’re only going to become a more important part of the industry. With hybrid, projects that might have taken hours of make-ready to complete on a flexographic press can be completed in a fraction of the time. Suddenly, jobs that might have seemed possible only on a flexo or digital press fit naturally onto a hybrid press. Put one in place, and you’ll find you’re moving more jobs to the press than you originally planned. I’ve seen the shift first hand, and I’ve seen the benefits of hybrid for a wide range of jobs — most significantly the kind of short-run, high-end label work that is becoming a focus for area brands. The label industry is moving in a direction that puts a premium on the kind of work made possible by a hybrid press. More specifically, consumers expect more options when they shop, and they expect options that speak to them individually. 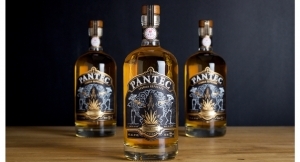 That means more SKUs, greater regionalization of labels, and a wider variety of artwork. There is no reason to believe that trend will reverse itself. 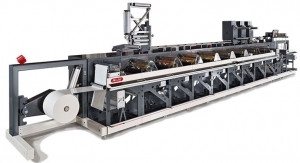 Hybrid presses will not replace traditional flexo in the short term, and perhaps not ever. There are still advantages to using a traditional flexo press on particularly large jobs. And as digital quality continues to improve, digital presses will continue to exert more influence on the market. For the moment, though, hybrid fills a nice niche between digital and flexo assets for run length and speed, and it’s particularly beneficial on the kind of short-run-length, high-SKU-turnover jobs that are becoming a regular part of the work we do. The benefits of hybrid technology are hard to ignore. The technology is going to grow, and it’s going to grow quickly. Dave McConnon is vice president of operations, label and card, at Minneapolis-based Meyers, a national leader in brand marketing and high-end commercial printing.